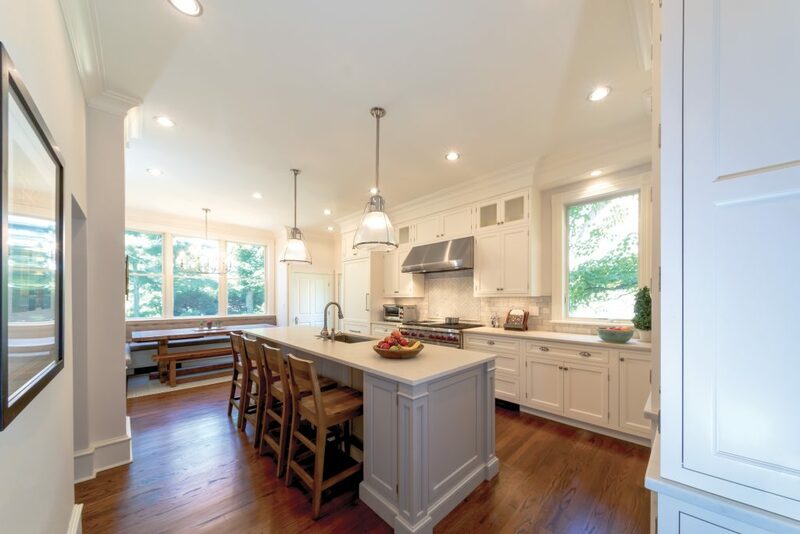 We are extremely proud of the way this beautiful kitchen turned out in Mt. 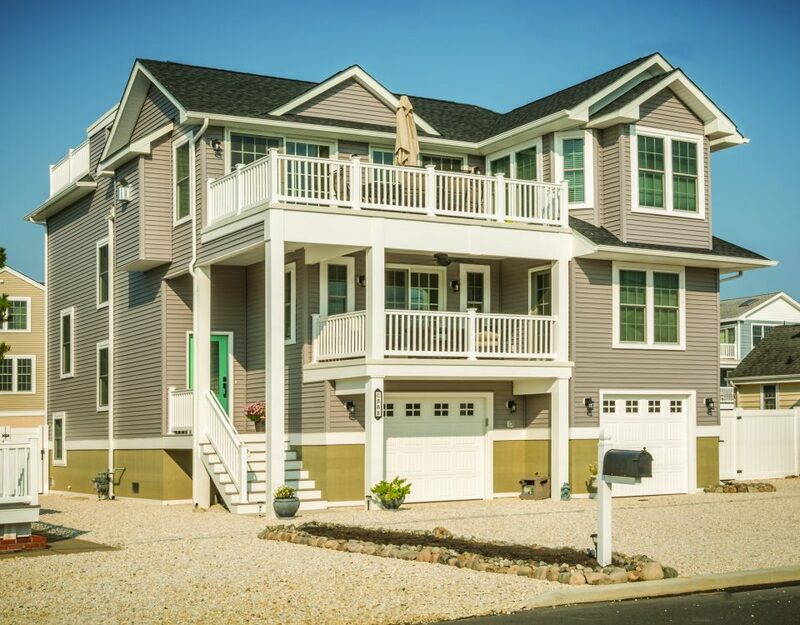 Laurel, New Jersey. 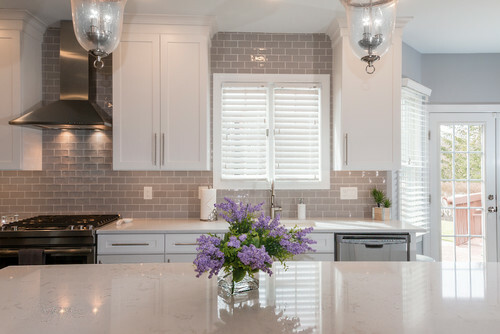 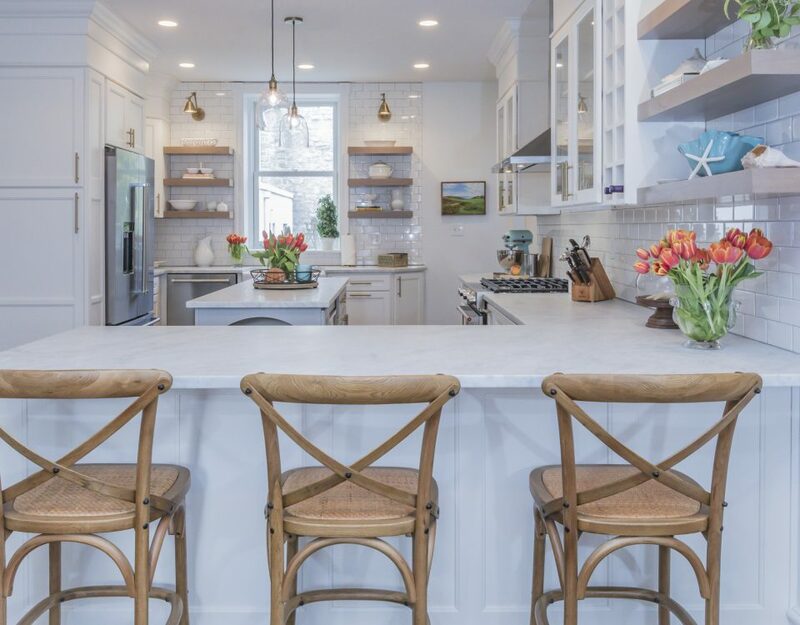 The white quartz countertops and white cabinets make this kitchen extremely bright and airy. 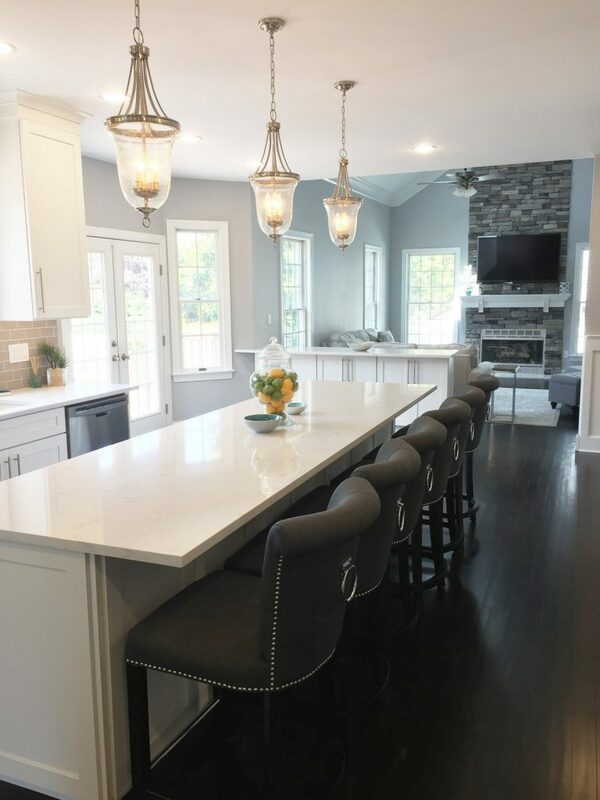 We love the subtle pops of color in the backsplash, bar cabinets and dark flooring. 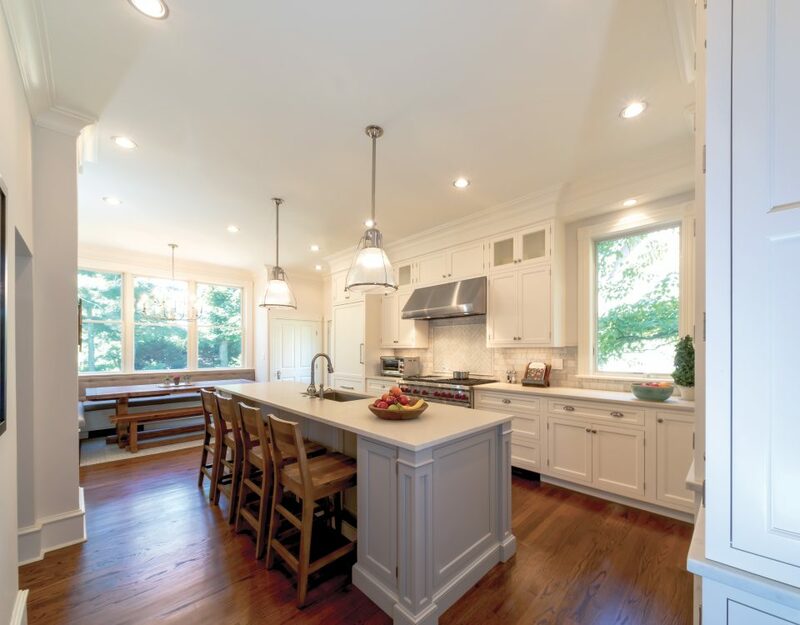 They add just the right amount of color to make this kitchen stand out among the rest. 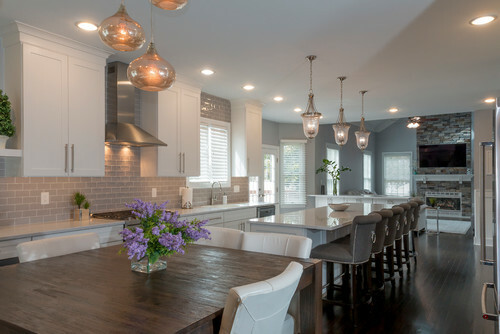 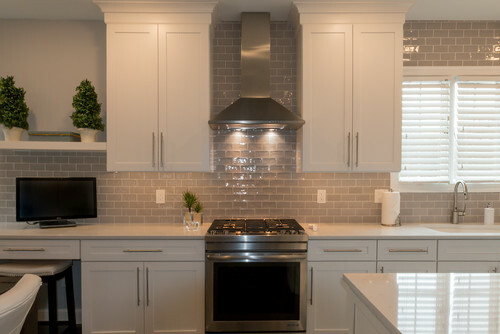 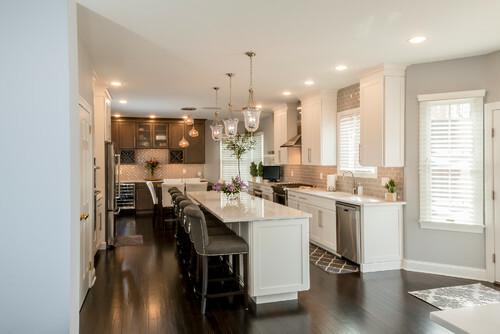 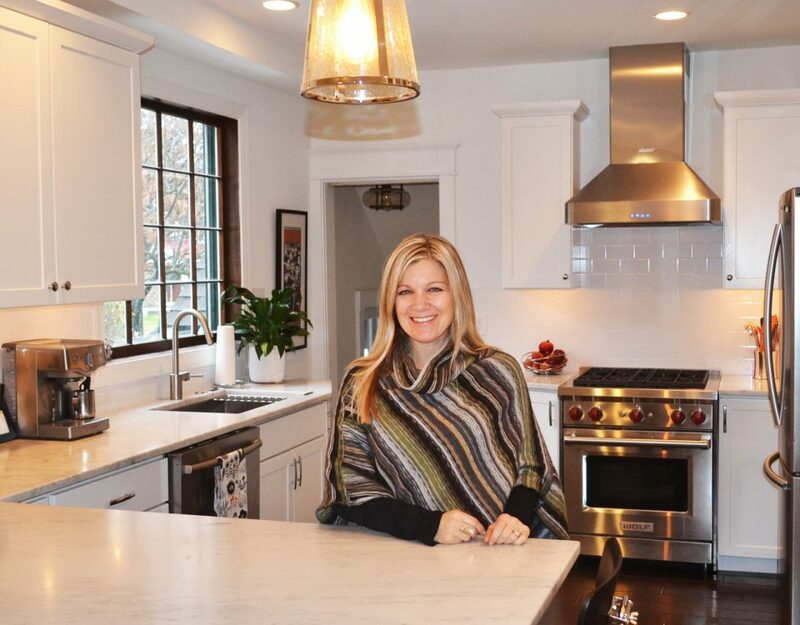 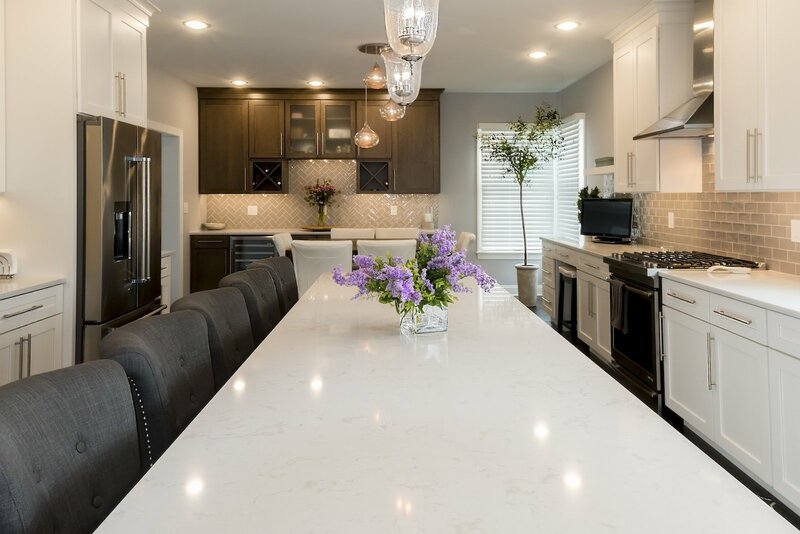 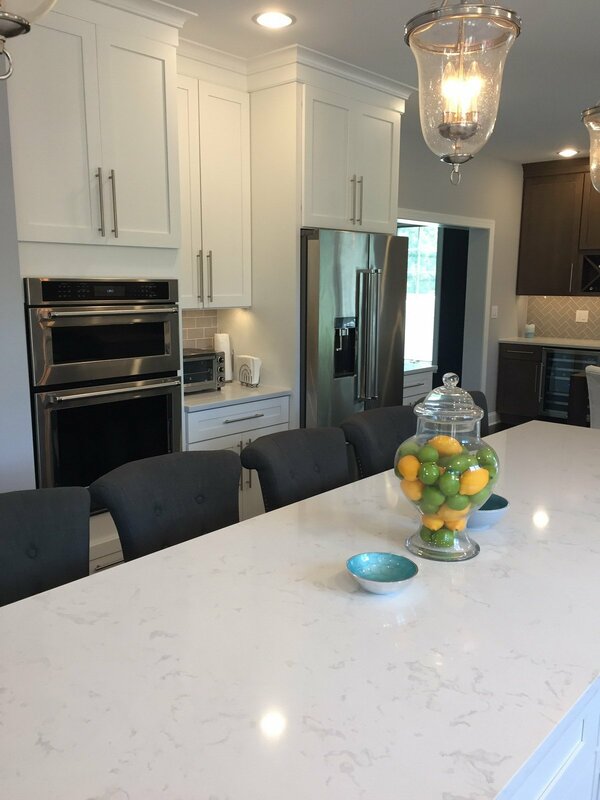 We worked alongside the homeowner throughout the entire renovation to ensure they received the kitchen of their dreams!